The Indian Institute of Mass Communication (IIMC) is introducing its one-year Post Graduate Diploma course in Marathi Journalism at its Western Regional Centre here today. 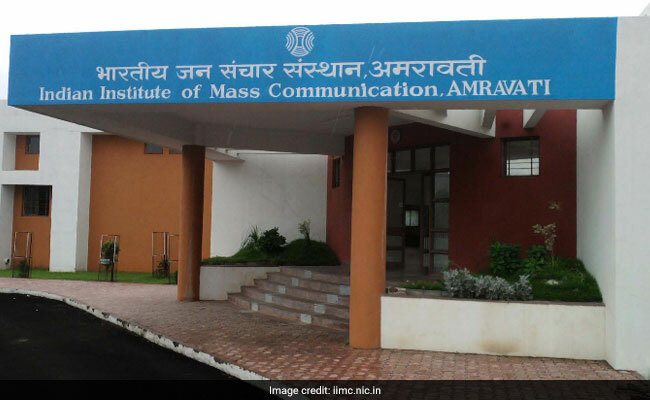 Amravati: The Indian Institute of Mass Communication (IIMC) is introducing its one-year Post Graduate Diploma course in Marathi Journalism at its Western Regional Centre here today. Coinciding with the death anniversary of Lokmanya Tilak, one of the pillars of Marathi journalism, the inaugural function of the course will be held at the IIMC in New Delhi, tomorrow. Union Minister of State for Home, Hansraj Ahir will inaugurate the course. The Amravati centre has been running a one-year PG Diploma in English Journalism since 2011, while the new course will begin from the current academic session. Nadeem Khan, director, Western Region, IIMC, said the course would help serve the interests of the Marathi media in the state in general and Vidarbha in particular in providing skilled manpower to them. He hoped that the students passing out would help boost the standard of Marathi journalism in the state. Besides the regular faculty members, senior journalists from the Marathi media in the state and eminent editors would be invited from time to time to guide the students, Khan said.